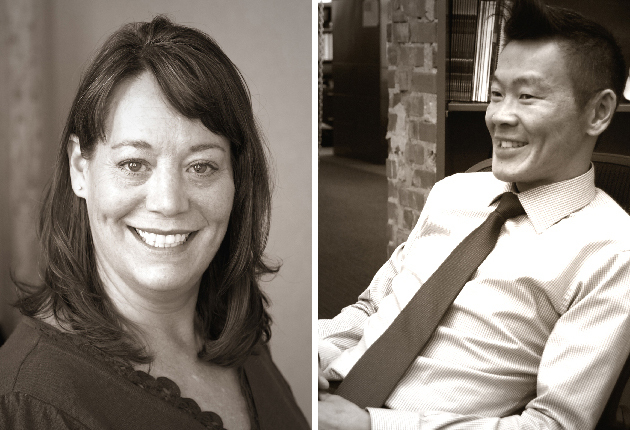 Announcing Promotions: Congratulations Tracy Oxnard and Chin Goh. Our Board of Directors is proud to announce the promotions of Tracy Oxnard and Chin Goh. Tracy has been named Chief Human Relations Officer in recognition of her critical role in recruiting and retaining top talent. Tracy has been with us for seven years and has played an important leadership role in our firm. Her core professional passions include organizational development and training, and in her new position she will leverage her talent across the Boulder Associates enterprise. Chin has been promoted to Marketing Director. In addition to leading and expanding our marketing department, Chin has helped our firm build brand recognition and develop strategic initiatives related to business development. Over the past seven years, Chin has played a significant role in positioning Boulder Associates as a unique force in the market.